The ERA can provide a variety of collection receptacles for ongoing use at no charge. The purpose of these collection bins is to offer an accessible solution for disposing of unwanted computers and handheld devices. The ERA will deliver your choice of electronic recycling containers to be placed in a location where they will be most beneficial. The ERA would then either set up regularly occurring pick-up dates on an ongoing basis (weekly, monthly, quarterly) and/or pick-up and empty (or replace) these receptacles as necessary and requested. Onsite recycling bins offer a simple solution for the donation of unwanted items, they’re also great for illustrating your organization’s commitment to green business practices and community investment. Please check availability with your Representative today, register through the form below or call the main line at 1.877.9.EWASTE. ERA’s branded bins are a great choice to place in public areas. They are attractively branded, secure and do not require a large amount of space. 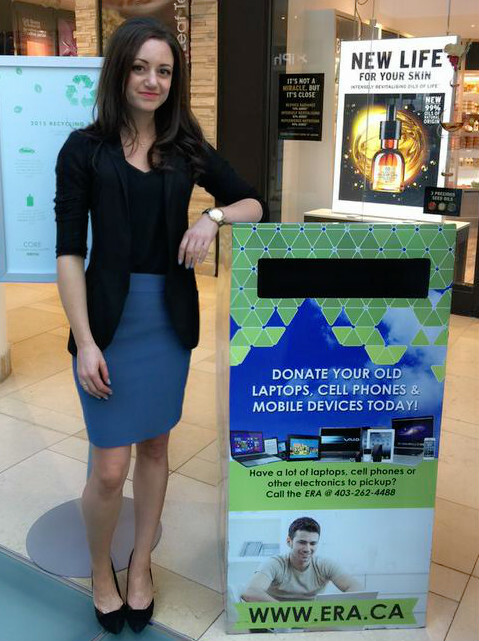 Having one of these collection bins at your place of business offers a simple solution for patrons, tenants and employees to dispose of unwanted electronic items while promoting your business’ commitment to environmental sustainability. ERA will work with you to determine the best schedule for delivery and pickup of the bin, and will take care of placement and removal. We also offer larger wheeled cages for higher volume collections. These are easily manoeuvrable and are secured with a lock. Wheeled collection bins are frequently used for collection events and can be branded for public placement. They are designed to fit through standard sized doorways and in elevators. 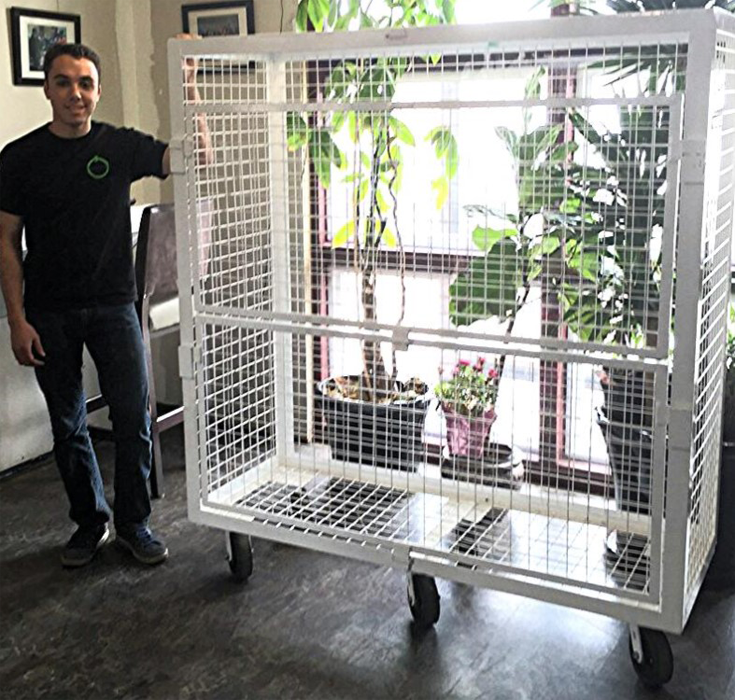 Wheeled collection cages come in two sizes, the larger of which is shown here. Dry and lockable, these containers are often used by retailers and landfills. These can be delivered and picked up on a pre-arranged schedule and can stay onsite long term. Please contact us with any queries you may have. Talk to us about becoming an Awareness Ambassador in your community, setting up your next charity fundraiser, or starting a community clean up event. Together, we can work towards a future with less e-waste.